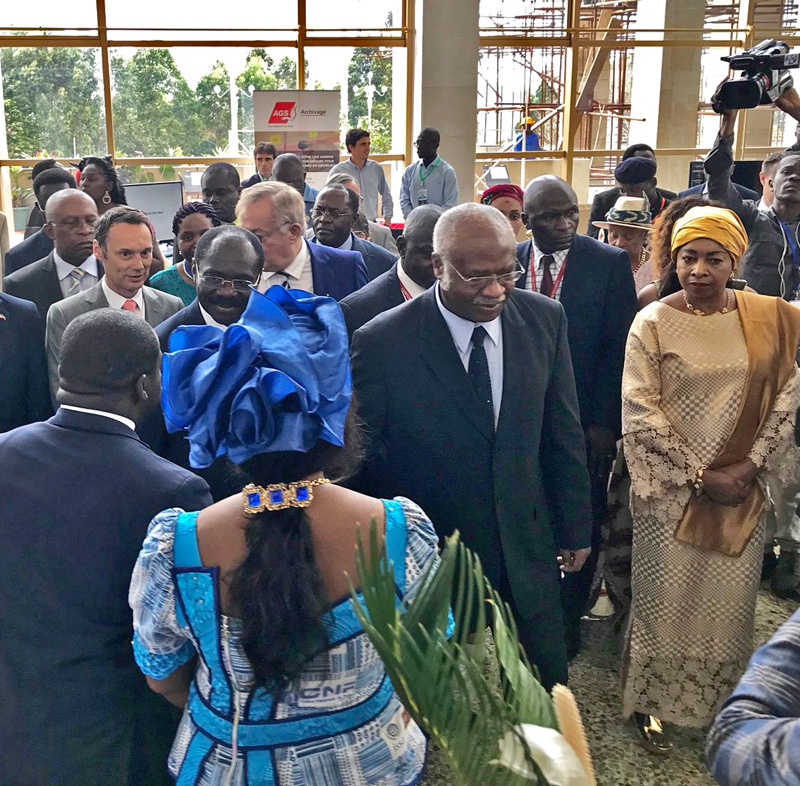 The 8th annual ICA Conference took place this year in Yaoundé, Cameroon, and brought together hundreds of archiving professionals from all over the world. AGS Cameroon recently attended the eighth International Council of Archiving (ICA) Conference which took place from 26 to 28 November 2018 in Yaoundé, Cameroon. Archivists and librarians from over 60 countries and five continents attended the event hosted under the theme; “Archiving: Governance, Memory and Heritage”. The ICA’s mission is to promote the preservation and access to archives around the world. Its international conference takes place in a different country every year. This year was the first time that the event was organised in an African country. The programme included many roundtable discussions on topics as varied as heritage preservation, archiving in service of democracy, archives governance in public services and pan-African issues. Along with the roundtable discussions, records management professionals could also participate in the archivist’s forum and present their services to visitors. AGS Cameroon attended the event and installed an AGS-branded booth, which welcomed visitors from all over the world. Laurent Bidet, the manager of heritage digitisation activities for Africa at Arkhênum, came from France to attend the event and to present the group’s cutting-edge heritage digitization techniques alongside the AGS team. The AGS Cameroon Manager, David Lafontaine, also attended the event, as well as Pierre Mbassi, the Records Management Manager and Carine Ngassa, Records Management Sales Representative. The team was very enthusiastic about the three-day event which proved to be rich in both content and promising contacts.